Administrative Law Judge (ALJ) Marian H. Tully, Office of Administrative Hearings (OAH), State of California, heard this matter on May 29 and May 30, 2012, in Los Angeles, California. 1 A telephonic Pre-hearing Conference was held on May 21, 2012. Student’s mother appeared on behalf of Student. An Order Following Pre-hearing Conference was served May 22, 2012. Date, time, location and procedures for the hearing were explained during the Prehearing Conference and set forth in the Order. The ALJ was informed by counsel for District at the date and time set for hearing that Student’s mother had advised District there would be no appearance on behalf of Student at the hearing. The ALJ trailed the matter for one half hour and OAH staff telephoned Student’s mother. Student’s mother informed OAH that no appearance would be made at the hearing. On December 22, 2011, District filed a request for due process hearing. OAH granted a first continuance of the due process hearing on January 9, 2012. On March 21, 2012, OAH granted an agreed upon request for a second continuance. At the hearing, the ALJ received sworn testimony and documentary evidence. On motion by District, the ALJ granted a continuance until June 8, 2012, to allow District time to file a closing brief. District timely filed its closing brief and the record was closed on June 8, 2012. Was District’s individualized education program (IEP) dated June 13, 2011, an offer of a free appropriate public education (FAPE) in the least restrictive environment (LRE)? 1. At the time of hearing, Student was six years old and resided with Parents within the District. Student was determined to be eligible for special education and related services under the category of autism on July 23, 2008. 2. Student’s last consented-to IEP was dated June 17, 2010, and was the result of a settlement agreement. Pursuant to the settlement agreement and the June 17, 2010, IEP, Student attended Cheerful Helpers, a non-public preschool, for the 2010-2011 regular and extended school year (ESY) with related services provided by District. The related services included 90 minutes of language and speech (LAS) therapy per week and 30 minutes of occupational therapy (OT) per week at Third Street Elementary School, Student’s school of residence. 3. The settlement agreement also required District to conduct multidisciplinary assessments and convene an IEP team meeting for the 2011-2012 school year. These assessments were completed in May and June 2011. Student was assessed in the areas of academics, social/emotional functioning, LAS, and motor abilities. The IEP team met on June 13, 2011 to discuss the assessments. 4. Veronica M. Ricci assessed Student in June 2011 and prepared a Psycho-Educational Report on June 12, 2011. Ms. Ricci was employed by the District for 14 years as a bilingual school psychologist. Her primary duties with the District were conducting student assessments and providing student counseling. Ms. Ricci holds a bachelor’s degree in psychology, a master’s degree in counseling, and a master’s degree in educational psychology. She holds a pupil personnel services (PPS) credential. The PPS credential allows her to practice as a psychologist in a school setting. Ms. Ricci credibly testified at the hearing and demonstrated she was qualified to offer opinions in connection with Student’s unique needs in the educational setting. 5. Ms. Ricci assessed Student to determine his present social/emotional functioning levels and to develop an appropriate placement and level of services to meet Student’s academic needs in the least restrictive environment. Ms. Ricci’s assessment included a review of Student’s previous assessments, previous IEP documents, reports from Cheerful Helpers, classroom observation during directed lesson and free play, interviews with Student’s mother (Mother) and Student, and standardized testing. 6. Assessment materials included the Achenbach Teacher Report Form (TRF), the Conners Teacher Profile, Third Edition, the Conners Parent Profile, Third Edition, the Achenbach Child Behavior Check List (CBL), the Childhood Autism Rating Scale (CARS), and the Asperger Syndrome Diagnostic Scale (ASDS). The assessment materials were selected and the procedures were valid for the purposes for which they were used, the materials were administered in Student’s primary language of English, selected to be nondiscriminatory and were administered without regard to race, gender or culture. The tests were administered in accordance with the producer’s instructions and the results were valid and reliable. 7. The TRF and Connors Teacher Profile, Third Edition, are ratings scales completed by a student’s teachers. The TRF is designed to identify behavior characteristics and provide information as to the student’s social/emotional adjustment. Student’s TRF scores in “Total Problems,” “Internalizing,” and “Externalizing,” were classified as clinical. Student’s scores in “Anxious/Depressed” and “Social Problems” were borderline clinical. Student’s scores in “Withdrawn, Somatic Complaints, Thought Problems, Attention Problems, Delinquent Behavior, and Aggressive Behavior” ranked within normal range, as did subscales for both “Inattention” and “Hyperactivity-Impulsivity.” The Conners Teacher Profile focused on attention and externalized behavior. The Connors Teacher Profile is norm referenced for students between the ages of six and 18. At the time of the assessment, Student was five years, 10 months, of age. Ms. Hylton used the test as an informal criterion reference, e.g., the number of letters in the alphabet Student was able to write. She did not use this test to arrive at her conclusions. Ratings from the Connors Teacher Profile suggested Student had atypical inattention, aggression, opposition, and social skill deficits for a male his age. Overall, ratings from these two teacher observation reports indicated Student was able to perform academically and make steady academic progress, but his social and adaptive impairments hindered his ability to function in the classroom. 8. The CBL and Connors Parent Profile are ratings scales completed by parents to obtain information about a child’s behavior and social/emotional adjustment. Parents’ CBL revealed clinically elevated scores in “Total Problems,” “Internalizing,” “Externalizing,” “Withdrawn,” “Anxious/Depressed,” “Social Problems,” “Thought Problems,” “Attention Problems,” and “Aggressive Behavior.” “Somatic Complaints” were within normal range. These results indicated problems related to withdrawal, anxiety, social relationships, inattention, rule breaking and aggression. These behaviors were more pronounced in the home environment than in the school environment. Parents’ response in the Connors Parent Profile indicated elevated scores for aggression, hyperactivity, and impulsivity, and deficits in learning and executive functioning. Ratings from the two parent observation reports indicated Student’s impairments affected his academic and social functioning and hindered the overall quality of home life. 9. Ms. Ricci administered the CARS and ASDS ratings scales. Student registered in the mild to moderate range within the autism spectrum. 10. Ms. Ricci used both formal and informal processes in a clinical interview with Student. Because of Student’s age and maturity level, Ms. Ricci used several processes including conversational questions, sentence completion, feelings statements, and Draw-a-Person. Based on this interview, Ms. Ricci concluded Student was basically a happy child, with positive feelings about his home, his mother, and his family, but he worried about his behavior and that he would not do well. 11. Ms. Ricci observed Student in his classroom participating in a directed lesson for approximately one half hour and in free play for approximately 15 minutes. There were seven other male students, one teacher and four assistants in the classroom. The adults were seated intermittently between students. There was no adult beside Student. Student completed tasks, raised his hand to answer questions, and was easily redirected when off task. He was not distracted by the noise level in the classroom or by disruptive behavior by his classmates. He occasionally appeared disengaged and did not contribute to class discussion. He did not play with his classmates during free play. Eventually, with prompting from the preschool director, he engaged in conversation with a classmate about a character he was building with Play Doh. The conversation ended as he became more focused on building his character. He became distressed and cried during a three minute conversation with the director when the director asked him to retrieve a “mouth” from a tray to replace pickle slices he used to represent a mouth on his character. Ms. Ricci also interviewed Mother and reviewed reports provided by Student’s preschool. Student’s behavior as shown in the classroom and reported by Mother was consistent with the results of the tests administered and the ratings obtained. Student was able to function in the classroom at age/grade level although Student demonstrated deficits in attention, social skills, transitioning, distractibility and self-control. He also demonstrated high activity level, anxiety, hyper-emotionality, and a tendency to withdraw from non-preferred tasks. 12. Ms. Ricci concluded, based upon the ratings scales, interviews with Mother and Student, Student’s medical reports, school records, and her own observations, that Student was a well behaved, imaginative, charismatic and bright child, who enjoyed the learning process, was able to participate in familiar classroom routines, had adequate selfhelp skills, and had grade level academic skills. However, Student’s autistic-like behaviors impacted his classroom performance, his ability to interact with typical peers, interfered with his ability to sustain attention, concentration and effort, and adversely affected his educational performance and progress. Student had difficulty with adaptability, selfregulation, flexibility of thought, perseverative thinking, excessive worry, selective attention, difficulty with transitioning, distractibility, and high activity levels. Ms. Ricci opined these behaviors, with appropriate related services, would not impede Student’s ability to attend a general education kindergarten class and function at grade level. 13. Ms. Ricci summarized her findings in a written report that was provided to Student’s parents and discussed at an IEP team meeting on June 13, 2011. 14. Rowena Galam was a District occupational therapist. Her duties included student assessment and treatment, individually and in collaboration with teachers, parents and other service providers. She was employed by District for eight years. Before she came to District, she was an occupational therapist at a private pediatric clinic for two years. Ms. Galam holds a bachelor’s degree, a California license and certification in OT. Ms. Galam demonstrated that she was qualified to offer opinions in connection with Student’s occupational therapy needs in the educational setting. 15. Ms. Galam provided school based OT for Student for the 2009-2010 and 2010-2011 school years. The treatment was provided at Third Street Elementary School while Student was attending Cheerful Helpers. Ms. Galam performed OT assessments in 2010 and 2011. Ms. Galam assessed Student over a four day period in May 2011. She prepared a written report on May 31, 2011. 16. Ms. Galam used the Ecological Model of Student Performance in her assessment. This model is used to establish the student’s present level of performance (PLOP) taking into account the student’s curriculum, educational environment and abilities. Ms. Galam interviewed Student’s teacher and Mother, observed Student at Cheerful Helpers, conducted one-to-one testing through observation and work samples at Third Street Elementary School, and used the Visual Motor subtest of the Miller Function and Participation Scales (MFUN). Assessment procedures and materials were selected and valid for the purposes for which they were used, administered in Student’s primary language of English, and without regard to race, gender or culture. Tests were administered in accordance with the producer’s instructions and the results were valid and reliable. 17. The OT assessment showed Student met his goals from 2010. Ms. Galam further concluded that Student demonstrated adequate neuromuscular skills and fine motor skills. Student’s ability to process and modulate tactile information, vestibular information, motor planning and his body awareness (proprioception), were adequate. Student had moderate difficulty with visual motor skills in letter formation. Ms. Galam concluded Student required OT. Accordingly, Ms. Galam recommended adapted writing strategies and opportunities for visual motor development. Student also demonstrated adequate organization of behavior and attention to participate in grade level classroom tasks but had difficulty in participating in non-preferred tasks. This difficulty could be attributed to behavior rather than sensory/motor development. Ms. Galam observed Student was more successful participating in non-preferred tasks when behavioral strategies included visual reinforcers, rewards, consequences, and verbal praise. 18. Ms. Galam summarized her findings in a written report that was provided to Parents and discussed at an IEP team meeting on June 13, 2011. 19. Dawn Salyards was a District LAS pathologist assigned to Third Street Elementary School, and a pre-school clinic at that location, for 13 years. Her duties included screening children to determine whether they might require services, providing therapy, conducting assessments, and providing teacher and parent education. Before she was employed by District, Ms. Salyards was employed for over four years as a LAS pathologist at a rehabilitation center associated with a hospital. Ms. Salyards holds a bachelor’s and a master’s degree in communicative disorders, a certificate of clinical competence from the American Speech-Language Hearing Association and a ryan clear credential. Ms. Salyards was Student’s speech therapist for two school years, 2009 -2010 and 2010 -2011. Ms. Salyards was qualified to offer an opinion as to Student’s unique LAS needs. 20. Ms. Salyards assessed Student in May 2010 and in April 2011. The 2011 assessment was a comprehensive review to prepare for Student’s transition to kindergarten. She prepared a written report of the 2011 assessment on May 28, 2011. Ms. Salyards’ assessment included a battery of standardized tests. The standardized tests administered and the procedures used were selected and administered so as to avoid racial, cultural or sexual discrimination, valid for the purpose, administered in Student’s primary language of English, and in accordance with the instructions of the producers. Ms. Salyards also conducted clinical observation, interviewed Mother, and reviewed Student’s LAS therapy progress, a language sample, and a report from the director of Cheerful Helpers. 21. Ms. Salyards administered the following assessments and Student achieved the following results: Expressive One-Word Picture Vocabulary Test (EOWPVT), 58th percentile for students his age; Receptive One-Word Picture Vocabulary Test (ROWPVT), 48th percentile; Comprehensive Assessment of Spoken Language (CASL), 82nd percentile; Antonyms, 65th percentile, Syntax Construction, 53rd percentile; Paragraph Construction, 90th percentile, and Pragmatic Judgment, 90th percentile. These results were within the average range or higher. Student’s Language Sample based upon a picture description task using conversation with the pathologist demonstrated Student’s vocabulary and word choice were within average range, but his pragmatic skills, including the ability to carry on a conversation, to make needs and ideas known, and his ability to stay on topic, were below average. 22. Ms. Salyards concluded, based upon standardized tests, parent interview, school report, and her individual assessment, that Student’s receptive and expressive language skills were within average range. His language skills were functional and interactive, but Student continued to have a mild deficit in pragmatic language. Student’s articulation was age appropriate and intelligibility was at 95 percent or greater accuracy. Student met the goals and objectives from his 2010 IEP. Student’s areas of need included frequent perseveration on topics or objects, difficulty engaging in conversation and appropriate behavior with same age peers, and disruptive behaviors throughout therapy sessions which impacted his ability to benefit from therapy. Student’s pragmatic skills were impacted by behaviors typically demonstrated by children with autism. 23. Ms. Salyards summarized her findings in a report that was provided to Parents and discussed at the IEP team meeting on June 13, 2011. 24. Tracy Hylton was employed with District for 16 years. She had been in her current position as an itinerant resource specialist for two years, and had previously been a school site based resource specialist for 11 years, as well as a teacher in a special day class for three years. As an itinerant resource specialist she conducted assessments and implemented IEP services. Before Ms. Hylton became employed by District, she taught in a special needs private school in Connecticut for three years. Ms. Hylton holds a bachelor’s degree in general education and special education, a master’s degree in special education, a general education credential, a ryan cpecialist credential, and a resource specialist certificate. Ms. Hylton was qualified to offer an opinion as to Student’s unique needs. 25. Ms. Hylton conducted an Academic Assessment of Student on May 27, 2011. She prepared a written report of her assessment on June 10, 2011. In preparing her academic assessment, Ms. Hylton considered reading, math, writing, listening, speaking, behavior and vocational ability. Ms. Hylton’s assessment included the Kaufman Test of Educational Achievement, Second Edition (KTEAII), interviews with Mother and the director of Cheerful Helpers, on site observation at Cheerful Helpers, review of school records and work samples, and the Brigance Comprehensive Inventory for Basic Skills. 26. The KTEAII results demonstrated Student was working in the average range when compared to age level peers in all areas except oral language. Student’s oral language skills were slightly below average. Student was willing and cooperative during the test and the results were a valid reflection of Student’s skills and abilities. Testing, teacher information, work samples, and Ms. Hylton’s observations showed that Student was working at grade level. However, his skills were inconsistent due to difficulty with oral communication and behaviors that interrupted his ability to stay on task. Student’s academic inconsistency was not due to environmental, cultural, or economic disadvantage. Accordingly, Ms. Hylton opined Student needed support and modeling in oral communication and social skills, behavior support, and strategies to help Student stay on task, such as visual cues, breaks and movement opportunities, frequent teacher feedback, etc., to access the general curriculum. 27. Ms. Hylton summarized her findings in a report that was included in the IEP. She also provided draft goals and objectives in reading, writing, math, vocational education, social skills, and oral language to the IEP team, and attended the June 13, 2011, IEP team meeting. 28. Roberta Wrobel was employed by District for 10 years in the special education department. At the time of hearing, she worked with behavior support teams helping with behavior support development and behavior support implementation. Her duties included work with IEP teams to help determine appropriate behavior support services and to implement those services. Ms. Wrobel holds a bachelor’s degree in special education, a master’s degree in educational administration, a mild to moderate credential in special education, and an administrative services credential. She had completed all required course and field work to become a Board Certified Behavior Analyst (BCBA), and was scheduled to sit for the board exam in September 2012. 29. Ms. Wrobel attended the IEP team meeting as an IEP facilitator. Her role at the meeting was to evaluate all of the assessments, review the IEP to make sure sufficient behavior support services were in place and collaborate with the team to develop an IEP that would meet Student’s needs in the LRE. She assisted the IEP team to develop the accommodations, modifications and supports contained in the IEP. 30. The IEP team met on June 13, 2011. In addition to Ms. Ricci, Ms. Galam, Ms. Salyards, Ms. Hylton, and Ms. Wrobel, Mother, District Administrator Lillian Waters, general education teacher Irma Navarette, Cheerful Helpers’ director Ellen Perlman, and Student advocate Bobbie Westil attended. Ms. Ricci, Ms. Galam, Ms. Salyards, and Ms. Hylton presented and explained their assessments, PLOP’s and proposed goals and objectives. 32. The IEP team reviewed and discussed Student’s prior assessments, goals and PLOP’s. The IEP team determined that Student had met all 10 goals from his then current IEP and each of the two objectives for each goal, although Student continued to need help or prompting from adults in the social/emotional area and he forgot safety rules when anxious. 33. Student’s PLOPs in reading, writing, math, oral language, vocational/behavior, LAS, visual motor, and social/emotional were discussed and Mother’s input was noted throughout. Input from Ms. Perlman was also noted. Student’s PLOP’s reflected Student’s strengths and needs in each area. 34. Student’s PLOP’s in reading, receptive and expressive language, and math were within average range, although he had some difficulties in each area. In reading, Student’s phonemic awareness was within normal range. He had trouble completing reading tasks without being silly and he needed multiple prompts to follow directions during testing. He did not separate words into phonemes, had difficulty matching letters with sounds, distinguishing non-rhyming words and identifying words with similar ending sounds. Comprehension became more difficult with longer stories. Student met his language goals. He was receiving 90 minutes of LAS per week. He was able to participate in his LAS session almost flawlessly for 30 minutes with an incentive. Although Student’s LAS had improved, he continued to need help with pragmatics in social situations and in communicating with peers. Student’s math difficulties were with word problems, telling time, recognizing symbols and writing his numbers properly. 35. Student had difficulty with visual motor skills, social skills, oral language and behavior. Student could write his first name with a mix of upper and lower case letters but not his last name. He could write 18 out of 26 letters in the alphabet. He could copy letters and words when given a model but had difficulty with neatness and letter formation. He did not complete writing tasks even when given multiple prompts. Student’s oral language difficulty was in pragmatics, and in answering literal and inferential comprehension questions in stories comprised of six to eight sentences. When asked to describe a picture, he was unable to accurately describe two or more events depicted in the picture. Student’s LAS needs related to deficits in social skills and conversation. Student’s behavior difficulties impacted his ability to interact with peers, transition from one activity to another, and perform non-preferred tasks. He struggled with selective attention and distractibility. 36. Student was described as engaging, funny, bright, and eager to learn. He responded well to direction from adults. OT and LAS providers reported Student often responded to clear firm directives, tangible rewards, such as stickers, and a structured environment. His ability to manage his emotions and communicate his needs was improving. Student’s autism continued to impact his ability to interact appropriately with peers, manage his emotions, and complete his work independently. 37. The team considered all of the observations, assessments and academic testing, Student’s PLOP’s, and information obtained from his Parents, his teacher and the director of Cheerful Helpers. The team, including Mother, agreed that the appropriate placement for Student was a general education kindergarten. 38. The team determined that Student would need accommodations, modifications and supports to provide instruction, opportunities for modeling appropriate behavior, peer interaction and practice in the area of social skills. Several modifications and accommodations addressed Student’s difficulties with anxiety and transitioning using visual cues and strategies such as a picture schedule to help Student prepare for transitions through classroom activities, help Student to work through tasks, and understand classroom expectations. Student’s behavior issues were addressed by providing sensory breaks, and opportunities to move to alleviate frustration and reduce stress when Student became overwhelmed. Academic supports to help Student succeed in the larger general education class included clear directions with verbal and visual prompts to follow classroom routines, procedures and instruction followed by frequent checks for comprehension and explicit instruction. These accommodations, modifications and supports included frequent rewards and praise when Student demonstrated appropriate social interaction to address Student’s difficulty with social skills and peer relationships. 39. The team determined that Student would need additional services beyond what was available in the classroom. These services included LAS, behavior intervention development (BID), behavior intervention implementation (BII), counseling, OT, and resource specialist program (RSP) in math, reading, writing, oral language, vocational education, social skills, and behavior support. The team further determined a Functional Behavior Assessment (FBA) plan would be developed by September 30, 2011 and an IEP meeting held in December 2011 to determine the level of behavior supports needed. 40. The IEP included 10 goals: 1) in reading, Student would state the name and sound of a letter with 90 percent accuracy in four of five trials; 2) for behavior, Student would use particularly identified strategies to appropriately handle anxiety, excitation and distress with 80 percent accuracy in three of five trials throughout the school day; 3) in writing, on visual or verbal cue, Student would write words and three brief sentences on a given topic using correct word order with 80 percent accuracy in four of five trials; 4) in math, Student would use objects to demonstrate single digit addition and subtraction problems with 80 percent accuracy in four of five trials; 5) in vocational education, Student would transition to new or non-preferred activities within two or three minutes with one teacher prompt and work for 10 minutes with 90 percent accuracy in four of five trials; 6) in social skills, Student would sustain attention with a peer for five to 10 minutes in a common activity with 90% accuracy in three of five opportunities during a school day; 7) in oral language, Student would answer oral comprehension questions about a story or event by remaining on topic, retelling in correct order using content to clarify meaning, and making predictions using complete sentences with 90 percent accuracy in three of four trials; 8) in language pragmatics, Student would participate in conversation with peers and adults over three to five turns staying on topic, using comments and/or questions, and paralinguistic cues, in five to seven opportunities throughout the school day; 9) in visual motor, Student would copy one sentence using proper letter formation, sizing, and spacing between parallel lines, using no more than two verbal or physical prompts, with 80 percent accuracy in three of four trials; and 10) in pupil counseling, Student would use verbal statements to describe distress, anxiety and/or frustration 50 percent of the time. Incremental objectives for each goal were also set forth in the IEP. 41. 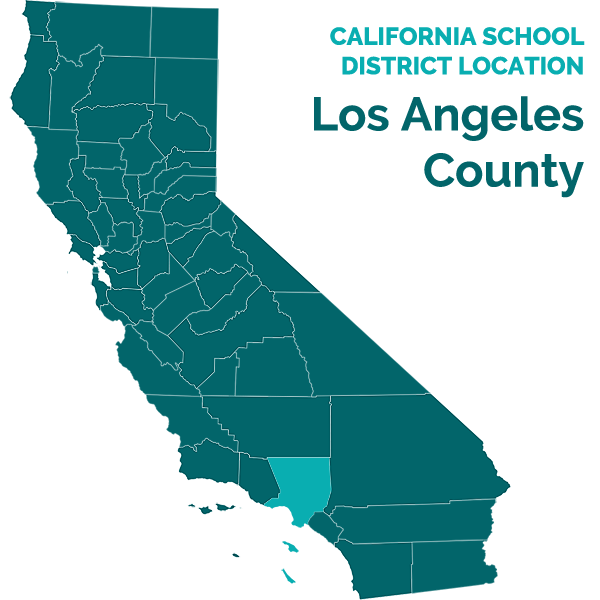 District offered placement in a general education kindergarten classroom at Third Street Elementary School with accommodations, modifications and related services. Related services included: LAS for 195 minutes per month, with 120 of those minutes in a pull-out setting;2 BID for 1,200 minutes per month; BII for 3,600 minutes per month; counseling for 45 minutes per week in a pull-out setting; RSP services to address math, reading, writing and language, each for 100 minutes per week in a pull-out setting; RSP services to address vocational education, social skills, and behavior support for 100 minutes a week; and OT services for 60 minutes per month with 30 of those minutes in a pull-out setting. 42. Parents did not agree with District’s offer. Although Parents agreed Student required placement with typical peers in a general education classroom, they believed Student needed a smaller class size and a more appropriate curriculum. They believed pullout services would be disruptive. Parents requested placement at an alternative school of their choice with an aide from a non-public agency (NPA), and that District continue Student’s present levels of LAS and OT. 2 “Pull-out” and “push-in” settings describe whether the services are provided outside the classroom or in the class room, respectively. 1. District contends that the June 13, 2011, IEP constituted an offer of FAPE in the LRE. As discussed below, the placement and related services included in the June 13, 2011, IEP offered Student a FAPE in the LRE. 3 All subsequent references to the Code of Federal Regulations are to the 2006 edition. The IEP dated June 13, 2011, offered Student a FAPE. Pursuant to Education Code section 56507, subdivision (d), the hearing decision must indicate the extent to which each party has prevailed on each issue heard and decided. In accordance with that section, the following finding is made: District prevailed on the sole issue heard and decided in this case.